Panel discussion co-sponsored by Canadian Electoral Alliance and JustEarth. Toronto Councillor Adam Vaughan will moderate this Town Hall meeting to discuss the impact of electoral reforms on environmental policy. 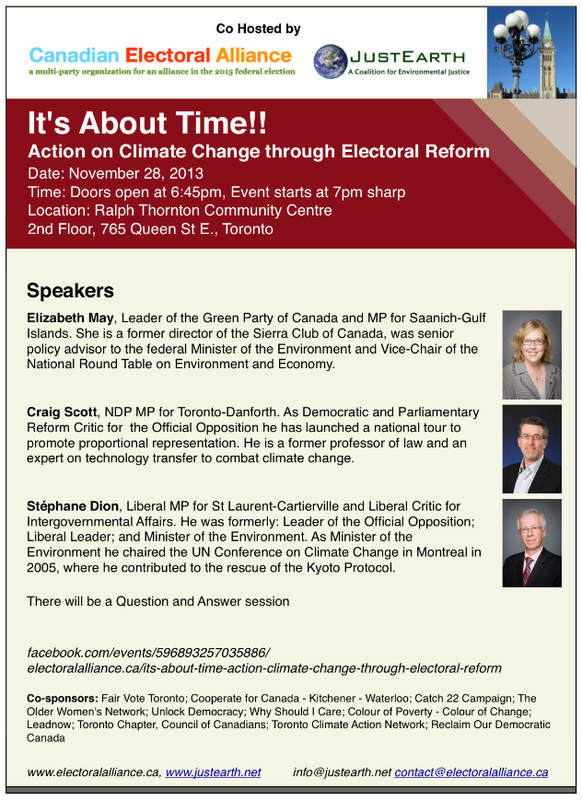 Speakers will discuss how electoral reform can help get action on climate change. And to visit the Facebook event page, please click here.